Disposable clothing protectors provide generous protection from everyday spills. 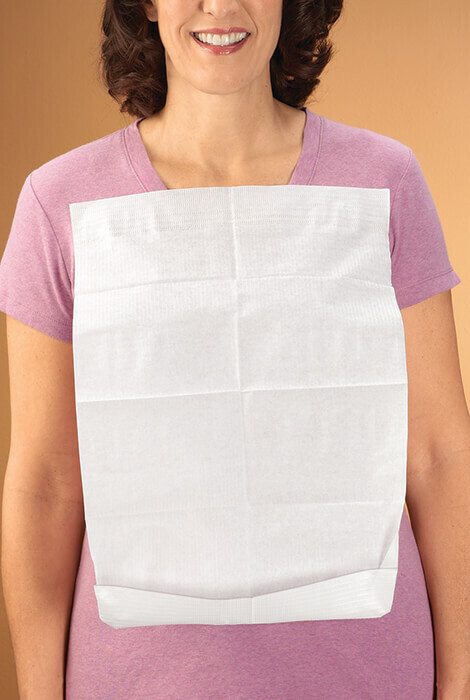 Disposable bibs are light, comfy “napkin-like” shields that peel and stick to clothing in seconds. Absorbent, leakproof design features foldout, crumb-catching pocket. Set of 50. 18" L x 13" W. Auto refill every 60 days. Please note: disposable protectors are blue, not white as pictured.